This page contains content about features that are outdated, or have possibly been removed from the game. These features only exist in older, outdated versions of TFC. This information is to be used at your own risk, as it is possible that is no longer correct in the current latest version of TFC: 0.79.29.922. It is also possible that this page is missing information regarding new mechanics in the current version. For a brief summary of accurate, up-to-date information, please check the Changelog. 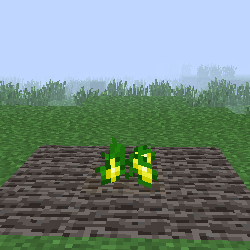 Squash seeds have a chance to drop from breaking down tall grass. Other seed types may also drop. 1-4 Squash will drop from harvesting a fully mature crop. This page was last modified on 16 June 2014, at 04:27.